Azamara Club Cruises has announced its 2020 itineraries, including newly added destinations such as South Africa, French Polynesia and Hawaii. With a total of 92 individual cruises across the three ships, Azamara will offer 41 maiden ports, 303 late night stays, 170 overnight stays and 40 country-intensive voyages, where guests can explore numerous ports within one country and stay late or overnight in most cities. Azamara’s itineraries emphasize spending more time in port, enabling travellers to explore beyond the initial layers of a city and fully immerse themselves in the destination. In addition, Azamara will also unveil new Land and Sea packages hosted by Micato Safaris, a luxury safari outfitter that will further enhance the brand’s immersive land products. “Our guests spoke and we listened; the addition of our third ship, the Azamara Pursuit, has allowed us to expand our footprint across all seven continents, bringing guests to new destinations, new experiences, and new opportunities,” said Larry Pimentel, President and CEO of Azamara Club Cruises. “In 2020, Azamara will offer a total of 473 late night and overnight stays, a 12% percent increase from 2019, which will allow us to provide our guests with the opportunity to experience night touring at some of the most compelling destinations,” Larry continued. Azamara call to South Africa and ports around Africa for the first time. Each voyage will offer a variety of immersive land programs that take travellers to the heart of Zulu culture, South Africa’s most famous wine region, and beyond. 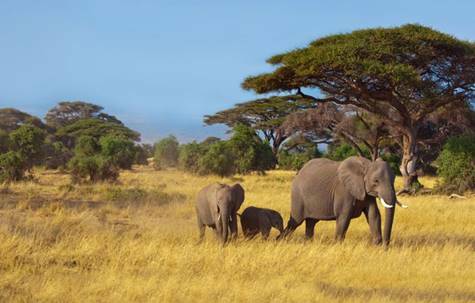 Kenya – Cruise Global, Stay Local: On this overnight excursion, travellers fly past Mount Kilimanjaro – the highest mountain in Africa – and over the Great Rift Valley to Kenya’s renowned game reserve, Masai Mara, where they will spend the night at the Neptune Mara Rianta Luxury Camp, located along the Mara River. The excursion includes two game viewing drives in search of elephant, lions, rhinos, cheetahs, giraffes and more. South Africa – Cruise Global, Taste Local: Departing from Cape Town, the excursion will take travellers to the Paarl region – one of South Africa’s most famous wine-producing areas – for a formal vino tasting at a wine estate. Guests then pay a visit to Haute Cabrière – founded in 1694 and situated on opposite ends of the breathtaking Franschoek – where visitors will get to experience a deep passion for wine as well as a pairing comprised of two farms. French Polynesia – Cruise Global, Eco Local: Join a marine biologist in this ecotourism and research project on wild, free-ranging dolphins. Learn about the geology of French Polynesia while viewing the dramatic beauty of Moorea from the water. Spinner dolphins, rough-tooth dolphins and pilot whales are seen around Moorea, while an excellent commentary provides details on the remarkable life and society of these wonderful mammals. Hawaii – Cruise Global, Adventure Local: Embark on an underwater exploration of Maui onboard a high-tech passenger submarine. The expedition will pass the “Brig Carthaginian,” a sunken ship built in the 1920s that now acts as an artificial reef off of the coast of Maui’s Puamana Beach Park. Azamara Journey returns down under in early 2020, making her way from Tahiti, around New Zealand and then on to Australia. Azamara’s first ever voyage from Tahiti, a 15-night Tahiti & New Zealand voyage to Auckland departing 23 Jan 2020, with a maiden call to New Plymouth on New Zealand’s West Coast. 15-night New Zealand and Australia Voyage from Auckland to Sydney departing 8 February 2020, with an overnight call in Hobart. 15-night New Zealand and Australia Voyage from Auckland to Sydney departing 9 March 2020, with an overnight call in Melbourne. 18-night Australia and Bali repositioning itinerary departing 24 March 2019 with calls to ports in Australia and Indonesia. On February 20, 2020, the Azamara Quest will be embarking on the brand’s second World Journey from Cape Town to Southampton. The Triple Tour is a 42-night voyage starting May 26, 2020 from Athens to Copenhagen, allowing guests to sail on all three ships and get an in-depth experience with crew members across the entire fleet, all on one epic voyage. More details on the Triple Tour will be available in early Summer of 2018. Starting in 2020, Azamara will offer guests a more inclusive stateroom category called Veranda Plus. The new accommodation will have the same dimensions and features as a regular Veranda stateroom, for a slightly higher cost, but include additional benefits such as: internet minutes, one night of specialty dining, priority embarkation and more. All of these amenities have been built in price, which will provide a value for guests, versus buying individually.